The goslings arrive on the farm annually in May /June as day olds from Norfolk Geese. They are raised indoors until about 4 weeks old when they are let outside to graze in large grassland paddocks. The geese are let out every morning at dawn & then shut up again at dusk, to protect them from the foxes that inhabit the woodlands surrounding the farm. The geese are also fed a specially prepared ration alongside our home grown wheat which helps to produce a succulent, tender bird for the table. All the geese are prepared on the farm ready for the oven. They are dry plucked in our on farm packhouse & hung for 7-10 days in the cold rooms to help the meat mature. They are then eviscerated and boxed with the giblets & a pack of goose fat with sage & rosemary ready for the oven. 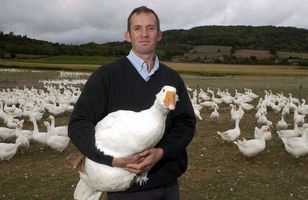 The geese can be collected from the farm or delivered to your door. 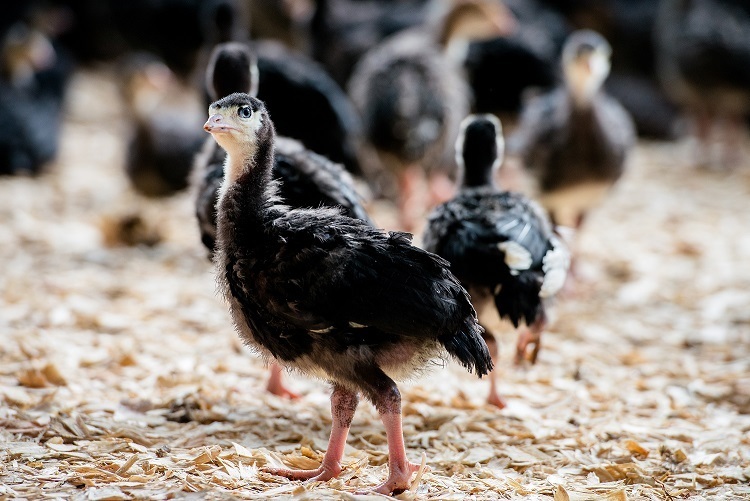 The Turkeys arrive at Walsgrove Farm as day old chicks in late June and are reared inside until they are 6 weeks old when they are let outside into grass fields during the day and then shut up in their pens every night. 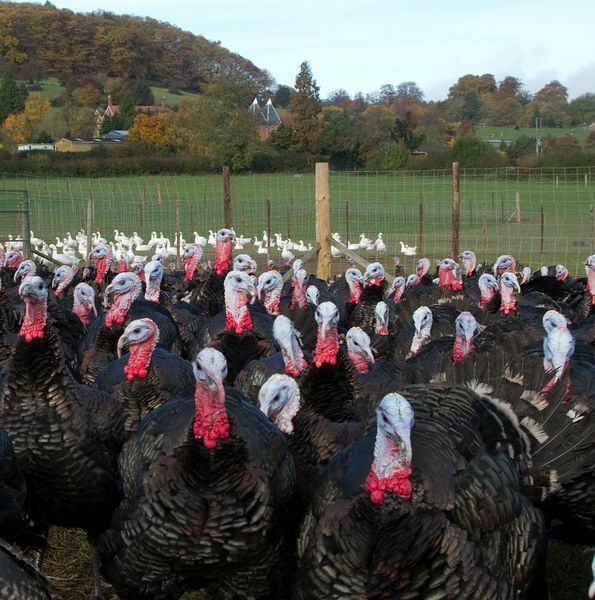 The Turkeys are fed a specially prepared ration so that they grow slowly to help produce an excellent flavoured Christmas Turkey, during September we start to feed our home grown oats to improve the flavour and texture of the meat. All the turkeys are dry plucked in our packhouse at Walsgrove Farm and then they are hung in our cold rooms for up to 10 days before being hand eviscerated with the giblets packed separately and garnished with herbs before being boxed ready for collection or delivery.